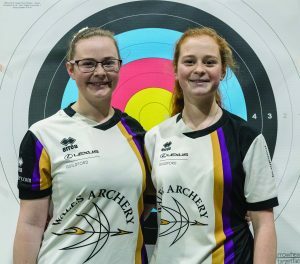 PYRFORD archery champion sisters Louisa and Eleanor Piper are to represent Britain in their GB Recurve (GBR) Senior Team debut at the forthcoming Hyundai Archery World Cup in Shanghai from April 23 to 28. Eleanor, studying materials science at Birmingham University, and Louisa, in her first year of GCSEs at Guildford High School, are both already experienced international archers. Eleanor is on the Archery Great Britain Senior National Squad and currently ranked UK No 4. She made her GBR international debut as an Under-17 Cadet in 2015 and as an Under-21 Junior in 2017.